Fortnite Season 7 has arrived, bringing with it new named locations, a plethora of new skins and cosmetics to get your hands on, and a wintery theme to a massive section of the map. If you’re looking at getting your hands on that Tier 100 skin, however, you’re going to need to complete the weekly challenges. 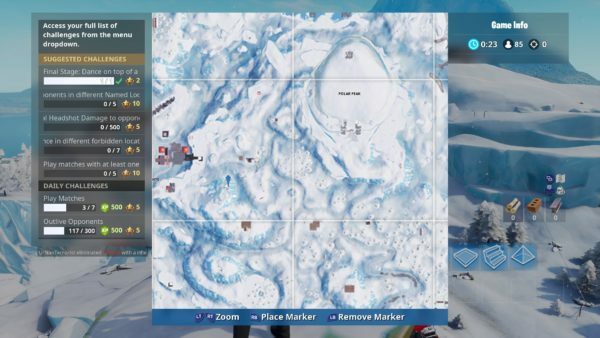 The week 1 challenges have arrived and task players with ‘Dancing on top of a crown of RV’s.’ Here’s where the crown of RVs, metal turtle, locations are for the Season 7 week 1 challenge. There are three stages to this Season 7 week 1 challenge in Fortnite, and the first tasks you with dancing on top of a crown of RVs. The crown of RVs isn’t placed on top of any kind of structure, it’s just sat on a mountain in the very southeastern section of the map. 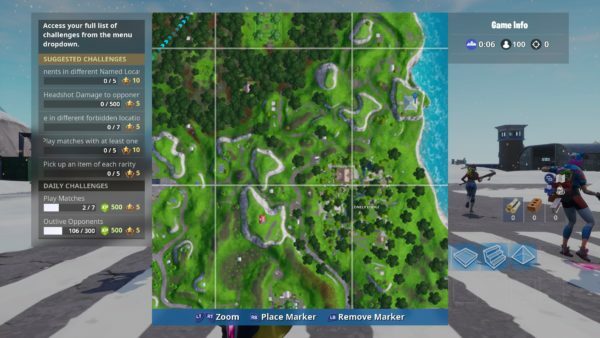 We’ve included a screenshot of the map above, followed by where you’ll want to land and dance to successfully complete stage one of this challenge. As you can see, it’s possible to land right in the center of all the RVs sticking out of the ground and simply dance your heart out. 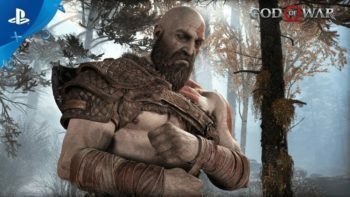 Doing so will nab you the stage 1 of this challenge. Your next step? Dance on top of a metal turtle. 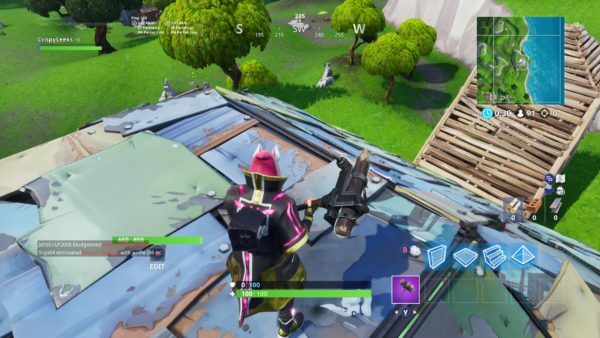 For the metal turtle location in Fortnite, you’ll need to venture over to the east side of the map. Specifically, you’re looking to land just north of Lonely Lodge, right on the edge of the map. 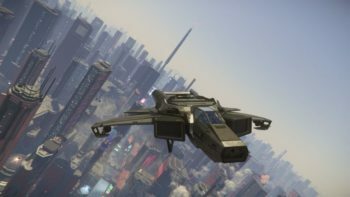 You’ll see a truck falling off the side of the map just to the north as you’re landing, too. We’ve included, once again, a screenshot of the metal turtle location on your map, as well as what it looks like when you’ve landed on it, too. With the metal turtle location well and truly danced all over, you’ll now finally need to dance on top of a submarine to round this Season 7 week 1 challenge out. 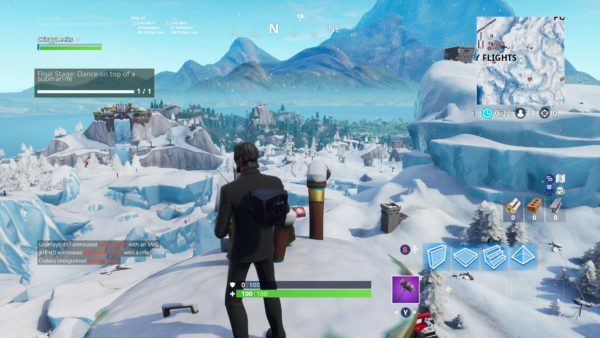 The submarine location in Fortnite is, of course, in the new Iceberg biome that’s arrive in Season 7. You’ll need to head to a mountain southwest of Polar Peak. Look for the brown squares and you’ll find the submarine to the northwest of those on top of the small mountain peak. We’ve pinpointed the submarine location in the screenshots below. 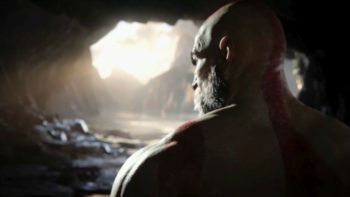 The submarine location is essentially balanced precariously on the very top of this mountain, so you’ll need to make sure you nail your landing from the battle bus. 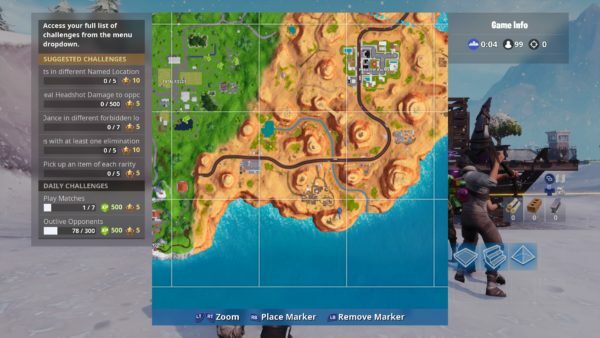 And that should do it for the crown of RVs, metal turtle, and submarine locations for the Fortnite Season 7 week 1 challenges. For more tips, tricks, and guides for the new season, be sure to check out our ever-expanding Fortnite Season 7 guide wiki. 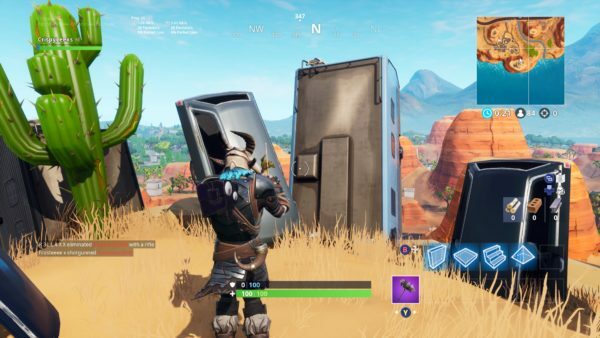 Question: Where are the Crown of RVs, metal turtle, and submarine locations to dance on for Fortnite’s Season 7 week 1 challenge? Answer: The Crown of RVs can be found in the southeastern section of the map on top of a mountain. The metal turtle is just north of Lonely Lodge on the east side of the map. Meanwhile, the submarine can be found in the new Iceberg biome on top of a mountain shown in our screenshot.